The smell of the turkey roasting in the oven brings back many a memory of family gatherings around the holidays, but something is mysteriously missing at this years Thanksgiving. Great Food! I remember my grandmother making huge batches of mashed potatoes, bowls of turkey gravy, several pumpkin pies, and of course, the ever delicious apple pie. Unfortunately all of this is but a distant memory. Today, the culture is all about healthy foods and how to "immitate" the Thanksgiving experience with substitutes to those famous dishes. So what are we having this year? Well thank God the turkey and stuffing are still present, but that is where the similarities come to a total halt. This year the potatoes have been replaced with "real" vegetables, the pies are crustless pies because of course white flour is evil and the gravy well, you know, it is fatty of course so that is missing. Is this celebrating? I find it a poor and totally lacking substitute for the real deal. At the same time I get the fact that we are becoming a fat, lazy and unproductive society. It seems, however, that we could still be a productive society, yet still eat all of those great foods. Our country fathers made the country what is is today and I'll bet they had some apple pie at Thanksgiving. I recently wrote a Windows service using Microsoft .Net technologies to act as a broker between two heterogeneous systems. Being a service, there is obviously no user interface for one to get feedback on how the process is executing or if it has gone into a state of error. My solution to this was to build a very complex logging mechanism which logs information to the Event Viewer, a text file and when needed snds emails to the administrator. All of this of course works very much as expected, but what about data integrity. What if one of more of my systems has suspect data? Of course the typical response to this question is for the developer to simply say, "Well the data has to be right since the app has to have good data at the very least in order to have basic operation." So I don't believe anyone reading this would argue with that, but there are times when dealing with third parties that data can become corrupt due to errors in both their database and the communication layer. When this happens, who is really hurt by the bad data? The answer of course is the developer and his management chain. It is not immediatly the third party. To battle this problem there has to be a mechanism for at least handling data integrity issues so that better information can be sent to the admin to combat the issues. Currently, the way we are dealing with this is by placing in-line rules into the service code as needed and passing as much data as possible back to the admin to further investigate so he can escalate the issues with the vendor. Many information technology departments, already saddled with a heavy load due to budget cutting in a bad economy will have a difficult time building the appropriate rules into the code simply because they don't have enough time in the day. Currently I don't have a good solution to the problem other than to make sure that every company has a data steward. Just a food for thought blog entry. I have been in the software development business now for twelve years. I have worked as a contractor, consultant and an in-house developer and thus have been on many an interview along the way. First, it should be understood that companies generally do not know how to interview as noted in the book "What color is your parachute?" by Richard Halls, but worse than that most companies put other developers in the room to interview the job candidate as they wish. These are people who have their own agendas and often expect more in the interview than they would expect from an interview. I want to outline several problems I have seen over the years in the IT interview process so that perhaps someone might read this blog and find a better solution to this dilemma. I don't expect you to agree with everything here but please read it with an open mind and try to make real changes in your interview process. Interviews usually go through the following workflow. First, the resume is received by a human resources team or a recruiter who specializes in finding IT talent. On their desks it is scrutinized for spelling mistakes, overselling and the ability of the job candidate to articulate his skill set. I really do not see a problem here as this is what one would expect from a good HR employee. Next, the handful of candidates who were chosen based on their resume are often scheduled for a phone interview. The phone interview varies but is often peppered with questions about who you are and where you have been and in many cases a series of basic programming syntax questions are asked. Finally, one or two candidates are chosen from phone interview for a face to face interview. A candidate coming in for a face to face interview could be subjected to several interviews with various levels of management and development staff. In some cases these combined interviews can last several hours and produce very little toward the goal of hiring a candidate. The last step is often repeated one or two more times until the company in question is sure they have the right employee. Below I have outlined several interview types which I have identified over the years and why they are effective or in most cases not effective. Nothing is more daunting to both the developer and the interviewer than the test driven interview. In this interview scenario, there is often a verbal and/or written examination which can vary from simple syntax questions on a particular language to full blown project related questions where a developer codes a business scenario under a given time window. Testing has a purpose in an interview, but testing is often not realistic and not focused. First, asking a seasoned developer syntax questions is often just an exercise in futility. Veteran developers have authored projects in languages ranging from Java to T-SQL to Objective C and realize that syntax is pretty much the same across all OO languages. A good handle on Google is about the only tool a long term developer needs. So if you are interviewing a senior or lead developer keep the syntax questions to a very minimum. It is better for the interviewer to tailor their questions toward the subject of architecture and problem solving. In other words, a for loop is a for loop so who cares how it is executed. In this type of interview, general questions are often asked which probe the developer to see what kind of a fit he would be in a particular team. I have been asked questions such as "Do you drink beer?" or "Do you play World of Warcraft?" or "What is your political affiliation?" These types of questions do have a place in the interview but one needs to be careful that the entire interview isn't questions about hobbies and life stories. Personally I would stay away from questions regarding alcohol and political preference. The interviewer should be able to get a good feeling about the candidate without asking personal questions. Just as a note, I usually excel at the Good ol' Boy interviews because, well, I am a good ol' boy. Did I mean "Good Cop, Bad Cop?" No, I meant bad cop, bad cop. In this type of interview the interviewers make every attempt to intimidate the developer and make him crack. I think somehow they think if the ask every question like a police office trying to get someone to confess to murder they will weed out the weak. In this particular case they often project themselves with a solemn face and ask questions in monotone. My personal feeling is that they really don't want to be there and they really don't want another developer on the team so they try to run the poor guy off. Usually they ask very difficult questions in an effort to completely fluster the candidate. In one bad cop interview I was asked "How many parameters can be passed into a stored procedure in SQL Server 2005?" Really, is anyone passing 1024 parameters into a stored procedure? Think about the questions you ask. Are they practical and meaningful or just trivia? In one instance I became so angered by the silly questions they were asking, I just started asking them difficult questions. Of course they didn't know the answers either. Interviewing is not a game of Jeopardy, it is a way to find out if a candidate will be a good fit and be productive in an organization. Similar to the Test Driven Interview, in this scenario, the candidate is faced with a panel of perhaps 6 to 10 developers firing away question after question ranging from simple to the absurd. These interviews can often last over an hour. In our world, there is a concept called fight or flight. When a person is put into a pressure cooker situation such as a panel of interviewers the fight or flight mode is activated. I have reacted in this situation in one of two ways. Either I become angry that they are asking so many questions from so many directions and I begin to get defensive or I just give up. Remember that you are hiring a developer not an attorney. A software developer does not need to be able to stand up to a barrage of questions coming from 10 different directions. Most developers are involved in very small groups and do a large amount of head down development with small meetings scattered in. By the end of this interview the developer is tired and generally turned off about your organization. An interview should be composed of between 1 to 3 people and be structured as follows. Get to know the developer time (10 minutes) - question to ask might include topics about where he is from where he went to school and what type of hobbies he participates in. Do not ask him where he sees himself in 10 years. This can be a huge turnoff for me anyway. Project Related Questions (10 minutes) - questions might include topics about the business problems solved and how architecturally they were solved. Also ask questions about technologies used to solve the problem. How To Questions (10 minutes) - questions might include topics about how would I connect to a database and what types of objects are involved. Be creative here but not ridiculous. Don't ask questions about the value of "x". This is a waste of time! Questions from the Candidate (10 minutes) - this is the time for the candidate to ask you questions. The interview lasts no longer than 40 to 45 minutes! Note that in the end no interview process is going to giv e you the perfect candidate but it can make the choice a little easier. Culture and fit probably play the biggest role of all in finding the perfect developer. Technology can be learned but communication skills cannot. Finally, don't forget about the technical references. Usually they are coworkers or a manager and can offer good insight into what technologies he knows and what he has done. Although this is not directly music related I did here a sermon on the radio this morning which really spoke to me and I thought I would share it. I was listening to 830am and Chip Ingram was discussing the issue of brotherly love and harmony among the Church. The message was entitled "Stop the Violence Part 2." "You have heard that it was said to the people long ago, 'Do not murder, and anyone who murders will be subject to judgment.' But I tell you that anyone who is angry with his brother will be subject to judgment. Again, anyone who says to his brother, 'Raca, ' is answerable to the Sanhedrin. But anyone who says, 'You fool!' will be in danger of the fire of hell." What a powerful and sobering passage and it is even more powerful in full context of the chapter. I encourage you to read the whole passage. In the above verses, Christ compares murder with harboring resentment toward a brother. In the first verse Christ says "anyone who is angry with his brother will be subject to judgement." Here, anger is translated or means "a smoldering type of anger or bitterness that is routed in vengeance." Christ is comparing anger to murder! Folks this is a very serious issue for believers. We cannot harbor anger against a fellow believer. If it means you have to apologize or beg forgiveness or forgive someone then do it today! Get your life right. The word "Raca" in this verse is a difficult word to translate but according to Biblical scholars it means to despise with arrogant contempt. Mr. Ingram goes on to say this type of anger is where you put someone down and say cutting and cynical things to them. The intent here is to cut them to the heart with words. You know I had a personal experience with this topic not long ago. I had wronged a brother who I used to work for and I suffered tremendously with dreams and guilt. Finally after I had a dream about reconciliation with him I talked to him and told him how sorry I was and that I shouldn't have done and said the things I said. It was tough, but the relief and joy I felt afterward was something difficult to put into words. Please if you have offended a brother, go today and resolve it before the judgment of God resolves it for you! Last night was largely a typical night in my household. The kids and my wife went off to bed and I stayed up to watch some old episodes of Emergency on Netflix. I began to slip off to sleep but was awoken by my wife calling me to turn off the TV and go to sleep. No big deal, still a very typical evening. The room was somewhat darkened as I made my way to the front door to make sure it was locked. The only light came from the TV which gave off its typical eerie glow. As I walked back toward the kitchen, without warning, I hear a loud bang of kitchen chairs smashing together, then scratches of feet across the kitchen floor. All of this was followed by more banging against kitchen cabinets. Now I am half asleep at this point so needless to say I was more than startled by this eruption. As I neared the dimly lit kitchen I noticed that my dog was causing all this commotion. I could clearly see her gyrating and flopping in all directions. My first thought was she was having a seizure as this was the same type of behavior I have seen in other dogs we have owned. So I yelled her name, "Puppy are you OK?" Now I am right on top of her so I flip on the kitchen light and clearly see her problem. A grey shadow darts across the floor in front of me followed by puppy in full pursuit. A mouse! My dog was chasing a mouse! Not only was she chasing the mouse but she now has it cornered against the cabinetry. She is about to go in for the kill when I grab her collar and yell no! I didn't want her to eat it because we use poison in the house to control the mice. So I dragged puppy to my wife by the collar and reenter the kitchen just in time to see the mouse slip under the refrigerator. First, let me say I have been with AT&T since 2007 so that qualifies me to at least make a decent opinion of the company and its services. It is also my sincere hope that AT&T will provide its customers better options in the future. For the first two years the service went pretty well. A few dropped calls from areas where the antennas were not properly aimed, but that is to be expected to some degree. The real problems began after upgrading to the Blackberry Curve. I went with the curve upgrade in 2010 mainly because the upgrade was cheap and I was doing some Blackberry development at the time. It really wasn't a bad phone, although I must admit, it was no IPhone. Well to make a long story short the phone quit working and was no longer under any warranties so I contacted AT&T to help me. Yeah I know they were under no obligation to help me but I figure they are sitting on a ton of refurb phones and they make their money off the services. I have been a customer since 2007 and have always made my payments on time. Surely they will help me get another refurb to get by with. Well a year later I still have no phone but I am sitting on a contract I can't get out of. I ask you, is it worth it to them to keep losing customers? Apparently so. I think part of the problem is they are so large that the customer service people cannot make important descisions to keep the customers due to strict rules for employees. One thing I know is that as soon as this contract is up I am going to another provider and it will most likely be a long time before I come back. They will offer me some great deal in December 2011 to upgrade my phone to try and keep me, but I am going to have to fight the desire for the phone and move on. God has blessed me to live on this earth 38 years and in those years I have never seen an ant invasion such as what I have seen this year in North Carolina. Our yard has ant hills everywhere, they have invaded the house and yesterday I find about 100 of them swarming under the door of my car. The species appears to be "the little black ant" and they are really a pain in the tail as far as their intrusion factor. At least they do not bite or one has never bitten me. Mitt Romney - this guy is old school politics at its best. He constantly dodges questions and tries to please a larger base of people. I really don't know why there are so many who think he is the best candidate out there and I am tired of the Republican party trying to push him on the people. He does have some good ideas but the other candidates also have the same ideas and they don't believe in social medicine. This guy is out in my opinion. Perhaps he would make a decent vice president. Herman Cain - without a doubt one of the best candidates on the platform but he suffers from not having significant name recognition and no political experience. He is a no nonsense kind of guy and I respect that enough that I would vote for him. I especially like his views on tax reform and social issues, but right now I don't think he can grab the American vote. A good choice for a VP. Michele Bachmann - sassy and ready for a fight, but is her fighting spirit too much for America? I think the answer is no. We need someone who is sassy and can stand up to other entrenched veteran politicians. It is sad that during this debate, Fox News intentionally placed her next to her old rival Tim Pawlenty as a ratings boost which was tasteless. Again a serious contender who could get my vote and I really want to here how she is going to solve the debt crisis. Newt Gingrich - Newt is another candidate that knows his way around Washington, is smart and has proven to make some good decisions, but this is also his greatest weakness. He is from a generation who plays the Washington political game and the time for that game is over. We are in a terrible financial and moral decline in America and we need someone who is energetic and able to take on the world. Newt is not someone who would get my vote in most cases. He is best left to retire as an old tired senator. The big loser in last nights debate was Fox News. I was completely embarrassed by many of the questions which were posed. The questions seemed to attack the candidates at a level other than their policies and Fox should be ashamed for this. The American people want to know how the candidates stand on the issues not why their campaign doesn't have any money. I hope that some of the producers got chewed out by their management this morning for that showing. I am a huge fan of the southern United States. Its people, its culture along with a solid belief in God make it a natural choice for someone with my convictions. One of the problems I have faced after making the move here is what from my background would normally be considered rude behavior. For example, I am waiting in a checkout line let's just say at Wal-Mart and I notice that suddenly the line is not moving. A customer is not only chatting with checkout clerk but hasn't even paid yet. Growing up in the North, I was always taught that you keep the line moving, don't stop and talk and remember that others are waiting behind you and might need to get somewhere important. 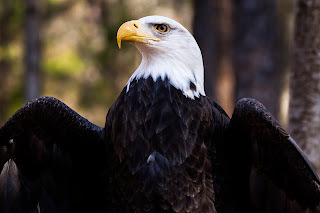 Here in North Carolina there seems to be no thought about the person who is waiting in line behind you or at least it would appear that way to someone with my cultural background. Another issue that I seem to find here is that people tend to block the aisle in grocery stores talking to other people. This used to really make my blood boil but now I usually just shake my head and find the next aisle. I could go on and on with other scenarios similar to these but I think you get the point. I spoke to my wife about these issues as she is not only a native to NC but her family lived in the mountains for generations. Her take on this is that the people are not doing this on purpose but it is simply that they move at a slower pace and really don't understand people who are "in a hurry" to do much of anything. So it never really dawns on them that someone behind them might need to be somewhere. In the end I probably would agree with this synopsis but in the back of my mind I still wonder: is it rude or is it right? I have come to the point in my life where I genuinly feel sorry for those with severe back pain. About a year ago while bending over to pick up my two year old son I slipped a disk in my lower spine. The pain was more than I could stand and I simply fell to the ground. After a month of laying on my back (since I couldn't walk) I went back to work and it slowly got better. Two days ago it came back with a vengeance. The day started simple enough. I woke up and took a shower, let the dog out, kissed my wife goodbye and stumbled out the door to my car. A slight pain in my back had developed but nothing I didn't deal with pretty much on a daily basis. Maybe slightly worse. I arrived a the gas station, filled up my car with gas and got a quick fountain drink from inside the store. Suddenly, I realized my back was getting worse, but I felt like I could continue without issue. So I continued on the one hour commute to my workplace. Slowly the pain began to worsen. Every turn I made with the car caused a pain to run through my lower back. So OK, I am a little concerned at this point. I finally arrive at work and park the car about twenty yards from the entry to my workplace. Not realizing just how bad off my back was, I through open the door to my car and dropped my left leg out onto the pavement. That was when it hit! Searing pain in my lower left back. I pulled my leg back in and found a position where the pain would stop. This is the point where it dawned on me that I could not get out of the car. Here I was twenty yards from my desk and I couldn't get out to the car! After sitting in the car for about ten minutes I realized my only option was to go home. So I struggled, pulled and pushed myself until I got into a position where I could drive, then headed for home. An hour later I finally arrived at my house. I pulled the car right up to the front door of my house and tried once more to get out. Nope, I still couldn't get out! After about ten minutes of sliding, twisting and lifting, I finally moved very slowly out of the car and onto the front steps. Thankfully, my steps have a good set of rails so I used them to pull myself into the house where I collapsed on the couch. My wife brought me my pain killers and muscle relaxers and about an hour later I hopped to my chair where I spent the next two days. On the third day I decided to go back to work. I was still in terrible pain but I could work. Whatever happened to the days where I missed work for the flu or a bad cold. The sad part of all this is there is very little help for a person with a bad disc. Physical therapy is great for muscle related injuries but seems to only make disc problems worse. Surgery is risky at best and isn't recommended except in the worst cases. So I will continue on, Lord willing and deal with the pain however I can. The northern Piedmont and foothills of North Carolina with its rolling hills and friendly mountains make for beautiful scenery. The terrain is so beautiful and rolling that it has attracted many a bicycler to enjoy it. I remember as a child riding my bicycle everywhere and it was a great joy to me, but I am concerned about how many are riding their bicycles these days. Don't get me wrong; it is great exercise and is very enjoyable but I am afraid that these backroads are not compatible with bicyclers. I live on a backroad which cuts through the King\Tobaccoville area of NC. It has winding hidden curves and very little to no shoulder. The speed limit is set at 45 but no one follows the law and it is not uncommon at all to see vehicles traveling in excess of 55 miles per hour. The bicycles traveling on this road are putting themselves and the cars in danger. It is a simple matter of basic mathematics. A car traveling at 55 miles per hour hits a blind curve with a bicycle on the other side doing 10 mph. The car simply does not have enough time to safely stop. I am not blaming the bicycler in this instance. He has done nothing wrong but the fact remains that this is just plain unsafe for both parties. What can we as a community do to solve this problem. I like that the bicyclers have found a very good and healthy hobby, but I think we need to be proactive and keep them from riding on the more dangerous side roads. I am in favor of bicycle lanes, but they are very costly. Imagine as a motorist hitting a bicycler. First you have hit someone and most likely killed them. This will involve possible lawsuits or criminal prosecution not to mention the family members grief at what has happened. The mental trauma from killing another person would be devastating to the motorist. Is a hobby worth this kind of trouble? For now my recommendation to motorist is please slow down and to bicyclers please think twice before riding on certain roads. Bicyclers, when you hear a car coming move over and don't ride in the center of the lane. To the legislatures I would ask you to try and pass a bill to keep the bicycles off backwoods highways and also to build bicycle lanes in places where they make fiscal sense. Here is my character Cudagin in LOTRO. Level 40 Dwarf Guardian on his trusty steed Vader. Being a married man I have heard my wife complain about breaking her nails and while I never really cared about this, I have recently starting playing finger style guitar and suddenly my nails have become priority one. So in case you don't understand what I am saying, when a guitarists plays finger style they generally grow out the nails on their right hand in order to use them as picks. So yesterday I started asking my wife about nail care. That's right, a 38 year old man asking about how he can make his nails stronger. After some discussion on the topic my wife leaves the room and comes back with two bottles of what I always considered fingernail polish. Instead I am told that one is a bottle of fingernail oil which you rub into your nails and one is called nail hardener. So I spend about 5 minutes "painting" my nails at which time I thought they looked pink. I asked her if they looked pink and she replied that no they just have a natural glow now. A natural glow? I am a man and my nails now have a "natural glow." Now that is just what I always wanted. Bottom line is that I will try this for a while and see how it works. I may need to do some kind of penance to make up for this feminine nail care. Perhaps I can go hunting, or maybe drag my wife around by the hair. On second thought maybe I should just go hunting. The hair pulling thing probably won't contribute to a happy life. Whenever a you hear the words "I need to show you something" uttered by a technician of any kind you know you are in real trouble and the HVAC tech did not disappoint me Saturday. Sometime Friday it was apparent that we had lost our air conditioning in the house. Ok, don't panic right? I mean chances are it is a fuse or switch or something. Searches online found that the problem was most likely a bad capacitor. So we called out the service technician to fix the heat pump. The tech from K&V Heating and Air arrived promptly as usual. I trust these guys and have used them in the past. About 20 minutes passed as I figured he was installing a new capacitor. A few moments later there was a faint knock at the door. Then came the horrifying "I need to show you something." He walked me out to the unit which was now running but making horrible grinding sounds. He had indeed installed a new capacitor and what he called a "hard start" unit. The next words out of his mouth were "You have a bad compressor." Yep the most dreaded thing you can hear from a HVAC tech. This is the equivalent of hearing that you need a new engine for you car. After a sigh or two from me I ask him what the cost of replacement will be. About 1,500 for the compressor was the reply. Another sigh or two then he went on to tell me that they are discontinuing the type of refrigerant that this unit uses and it would be more cost effective to replace the entire heat pump. What could that cost you might think? Oh just a mear 3,500 to 4,000 dollars! Who doesn't have that stored in their matress? Bottom line is that we will have to wait until spring time so we can save up enough. Until that time it is window units for us. This posting is how I installed the Barcus-Berry Insider pickup and should give you an idea on how to approach the installation project. I assume since you bought the Barcus-Berry pickup that you are on a budget so I built the tutorial with that in mind. The directions that come with the pickup are very poor but do get you started. I will show you how I installed it and the lessons I learned. I am sorry for the ugly photos but all I had with me was a very bad cell phone camera. 1/4 inch wooden dowel rod cut to 18 inches. You can find them at Lowe's in the molding aisle. 5/16 inch slotted screwdriver - it is important that it is 5/16. We will use this to hold the end pin while we tighten it with a wrench. Solder iron - I can't believe I had to do this but my pickup did not come soldered even though it showed it that way in the picture. I may have an older model. Good set of channel lock type pliers. Step 1 - Removal of the factory end pin. 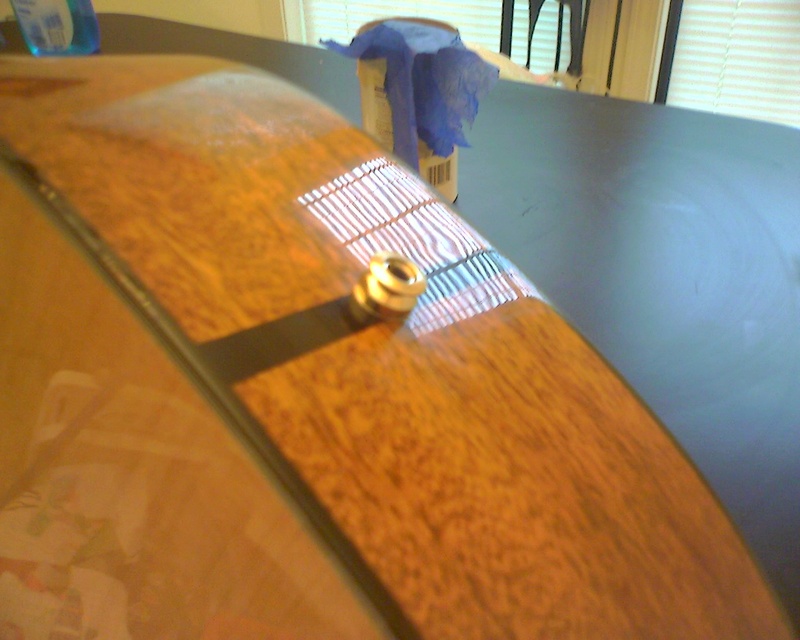 Your guitar will most likely have a plastic end pin which is installed from the factory. It should look like the image below. If you don't care about damaging the cheap end pin which you probably won't since you are installing a new one then take a pair of good pliers and pull and twist back and forth until it comes loose. There is no simple way to do this. I have heard some people say that you should apply heat to it with a solder iron but if it is plastic it will melt it. Below is the picture after I pulled it out with pliers. Note that I placed some low stick masking tape on the guitar just in case the pliers slipped. That way it won't scratch the finish. 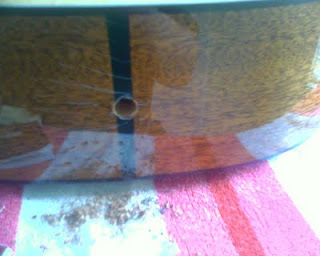 Ok, now you have a nice little hole in your guitar. Step 2 - Drilling out the hole for the new end pin. Make sure you have a sharp drill bit and a good variable speed drill. My drill seemed a bit underpowered so when in doubt, go with more power. 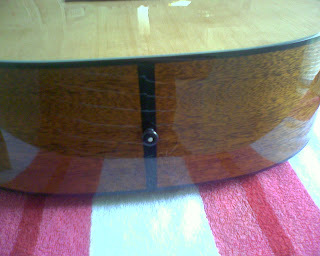 You will need to drill completely though the finish and the end block of the guitar. Ready, set , go for it! Notice how my drill bit did not do a very good job. If you look closely even in this bad pic you will see where the banding material or whatever that black stripe is kind of curled up as I drilled. I supposed you could sand this down a bit and make it look better but it will be hidden under the washer so it isn't too big of a deal. That said, I was the most dissapointed here. I cannot say this enough. Get a good bit and a good drill. Ok, the scary part is over. Step 3 - Solder the pickup wires to the end pin jack. Hopefully you won't have to do this but if you do, here is what it should look like when you are finished soldering. If you don't know how to solder, then take it to a person who knows electronics and they can help you. Again, I don't think you will have to do this but just in case. Step 4 - Position the end jack. Unscrew the end cap from the Fas-Jac. Stick the 1/4 inch wood dowel cut to 19 inches into the end of the Fas-Jac where the end cap was. If it doesn't fit tightly you may have to remove the dowel and put some masking tape over the rod to make it thicker. Oh and don't forget to loosen your guitar strings. It should look like the image below at this point. So the whole point in doing this is you can't reach your arm all the way back to where the drilled hole is so you need the dowel to act as a guide to pull it through. You can think of it like pulling cable through a wall. 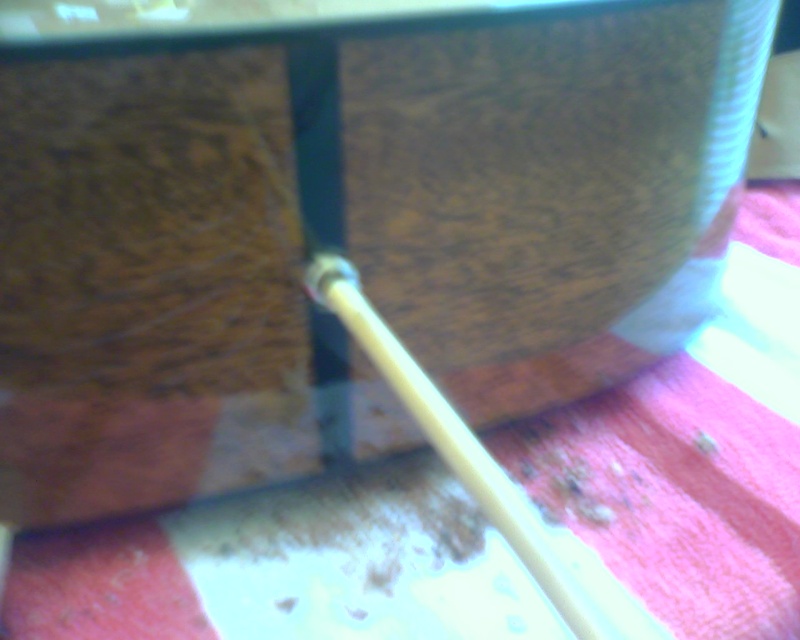 Now simply pull the dowel from the end of the guitar through until it is visible through the drilled hole. See the pic below. Simple, right? Well kind of. You have to fiddle with the nut on the end jack pin to make sure only about 3 or 4 threads are visible through the hole. Once you get the adjustment right, simply slide the washer and the Fas Jac over the dowel and tighten slightly. You won't be able to tighten it all the way since it will just turn and the dowel will come loose. Now remove the dowel rod, insert the screw driver into the end of the Fas Jac and use a wrench to tight it into position. This may take several tries to get right but just hang in there and it will happen. 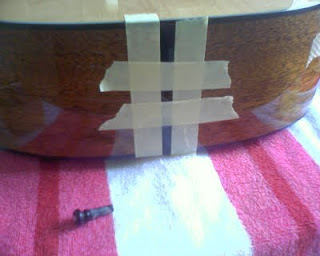 If everything went right your guitar should look similar to the photo below. You can breathe again, we are almost done. I don't have any pics for this but I will try to walk you through it in words. You can get fancy here and create a jig which can be used to position the transducer or you can wing it. I did the later because well I just wanted to. The transducer has a sticky pad on it so you need to remove the sticky pad's protective paper then stick the pickup right in front of the bridge pins. Pretty much it ends up being in between the saddle and the bridge pins. Take your time and go by feel. If you get it wrong, you can scrape off the old sticky pad and put another one on. They come with several. Its easy to get it crooked so like I said: If you are a perfectionist then make a jig. Well that is about it. Plug it in and see if she works! I know this was not an exhaustive tutorial but hopefully it will answer some of the questions I had when I started this process. I don't know if it is officially a controversy or not but there is enough communication traffic about which pickups to buy on the web to make you want to stick your head in the sand and hope it all just goes away. 1. Mic the guitar with a condenser or dynamic mic mounted on a mic stand. 2. 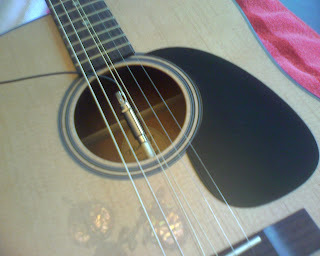 Use a magnetic pickup mounted in the sound hole. 3. Use a piezo pickup mounted under the saddle or under the bridge or both. Ok, so what is the problem? Just pick from the above until you find the right sound or tone you would like to achieve. What can be simpler? Well because some of these solutions are ideal but may not fit into the budget of a weekend guitar player. If money was not an object I would most likely have gone with a system such as the Seymour Duncan SA-6 with an integrated mic. 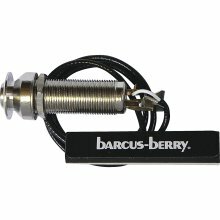 In the end I have decided to buy a piezo pickup system from Barcus-Berry, but let me share how I arrived at this decision. The Condenser or Dynamic Microphone - This is the traditional approach and is the best approach for natural sound reinforcement, but it has several key drawbacks for me. Drawback #2: Too many cables and stands make for more stage clutter. On small church stages too many cables makes for not only a danger to people who approach the stage to speak but also make it difficult for the musicians to maneuver. Drawback #3: Feedback. Although controllable it does require a good sound tech and/or feedback suppression systems. Drawback #1: The sound is completely synthetic and is based on the vibration of steel strings over the coil. This is how electric guitars are generally amplified. Spending money on a really good acoustic will not be heard using one of these pickups. It does in my testing sound better when strumming and not picking individual notes. Drawback #1 - Still a synthetic sound but doesn't suffer from completely sounding like an electric guitar. Drawback #2 - Harder to install than your typical sound hole mic. Drawback #1 - The price. Systems like this run in the hundreds of dollars. Well that is how I arrived at the modestly priced Barcus-Berry piezo pickup. In the end it was all about the money and how to achieve the best sound for under eighty dollars. 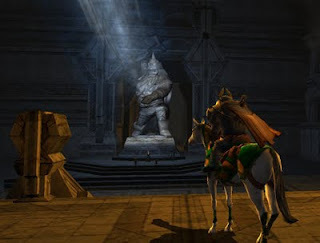 Ever since I first gazed at the massive statues outside the city of Stormwind, I have been fascinated with the computer based role playing game. Perhaps it is the feeling that you are someone you are not in reality or maybe it is just the amazing worlds which have been created, but either way I love it. Whether you are playing a Hobbit hunter in LOTRO or a sneaky Rouge in WOW it is an intriguing and awesome experience. We as humans love to escape the reality of sin and heartache that is all around us. The idea that if I had enough strength(xp) and clout (levels) that maybe I could change the world simply by brute force. If only it were that easy. Being a 38 year old family man though I have a couple questions. Is it and was it waste of time? Should I be spending more time working on music and playing with the kids? I think the obvious answer is yes, but somehow gaming has become a part of me. I remember as a child sitting in my room playing Pirates and Amazon on the Commodore 64 for hours. My parents worried constantly that I would turn into a freak or something for playing games like that, but I didn't really :) I did all the same things other kids did my age. I rode my bicycle, played baseball, got into scrapes with the neighbor's kids and ate mama's apple pie. 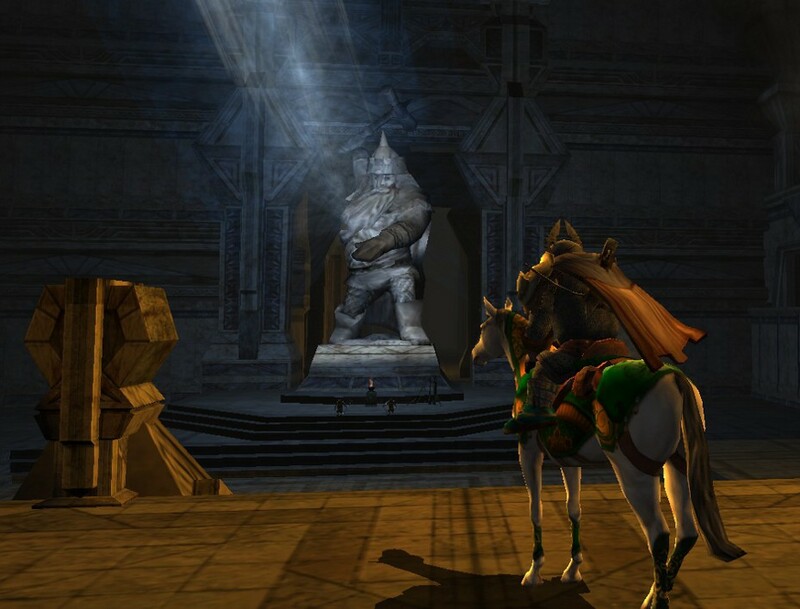 So check me out on Lord of the Rings online if you get a chance. My character's name is Cudagin (level 38 Dwarf) and I formed a kinship named Logos. Apparently cellular service providers also will make every effort to make someone the fool. Back in 2006, I purchased a Palm Treo 750. A good phone for its time no doubt, but as most people do I grew tired of its poor battery life and decided to upgrade. It was your typical upgrade contract. I upgraded to a Blackberry Curve which I really liked quite well, but unfortunately it stopped working a year into the contract. A bad system board. Ok, a bump in the road, but I figured a quick call to AT&T and all would be well. I mean I have been a customer for many years, and pay $60 a month. They will respect that. They will cut me a break, right? After all they are sitting on a ton of refub phones surely they can give me another Curve. I wished they would have but all I got from them was the whole tough luck and chin up kind of speech. Yeah I know, I signed the contract and it says they don't have to do anything for me after 90 days. I know all that but what happened to customer service. What happened to a company taking it on the chin once in a while for a customer. After all I wasn't asking for an IPhone. All I wanted was another junky refurb to get me by until my contract was up. So after begging AT&T I gave up and popped the SIM back in my old Treo. It's still going but the battery doesn't last more than a day and the call quality is terrible. I don't know, maybe I shouldn't complain. Maybe I am just a snobby American who needs a wake up call. I do after all still have a cell phone that works but somehow the whole customer service issue bothers me. When I worked in retail we bent over backward for the customer to make him happy. Sometimes we took a bath and lost money but the customers kept coming back because they new we were fair. I'd like to think dumping AT&T would solve my problems but I have a feeling it is the same everywhere. I recently spent several days in the Wellsboro area of Pennsylvania and even with the never ending miners driving by the house, it still hasn't lost its charm. Wellsboro will always hold a special place in my heart as this is where I was born and where my extended family spent a great deal of their time growing up. The area is teaming with wildlife and indeed it is not unusually to see deer and even the occasional black bear roaming the country side. Few sounds can rival that of Pine Creek cutting its way though the Pennsylvania Grand Canyon on a warm spring morning. Throughout the year fisherman roam the country creeks trying to catch their limit of trout, while in the winter hunters spend countless hours in search of the trophy buck. Main street is lined with quaint shops from the familiar department stores to specialty candy shops. It is something to behold and at some level seems more like a Hollywood set than a town, but this is the way it has always been. It has always been simple. No room for the hustle and bustle of the big city and its rude corporate executives. No place for those who despise the simple life and its backward, old fashioned roots. My mom summed it up in one statement. "Matt, we had a murder here this year!" The reality is that the city where I live, we have had 8 already and the theft is through the roof. Wellsboro: It is simply a town that time forgot. To me it seems astounding that the coyote has made such a comeback on the east coast of the United States, but there is a hidden danger here. There is a breed of coyote called the "Hybrid Coyote" or the "Eastern Coyote." These coyotes breed with dogs or wolves and create a strangely aggressive coyote. The coyote we are all familiar with are docile and mostly afraid of people but these hybrids are not and will attack children and in rare cases grown adults. What bothers me most is the government's stance that coyotes are not likely to attack. Yes that is true and I happen to think coyotes are a great creation from God, but the hybrid will attack and it has proven this time and time again. The hybrid is not truly a coyote! I wish they would make the connection and stop their false rhetoric. This is the day after my grandmother, Marion Northrop passed away and my mind is filled with the memories of a great childhood with she and my grandfather. I remember visiting her frequently as a child and I clearly remember that she was entirely a meat and potatoes person. Always mashed potatoes and some kind of meat and vegetable. I don't know why that is the first thing that popped into my head but I guess I love food too much. Some of my favorites were mashed potatoes, gravy and roast beef, chicken and biskets and creamed potatoes. For breakfast she often made pancakes which were very good, but the women would put ketchup on her pancakes (paincakes as she called them). That I could never do! She and Gramp were also big fans of real Pennsylvania maple syrup and it was not unusually to have a gallon of maple syrup and some maple candy on hand. The woman also ate a ton of bologna sandwitches. I don't know why but she did. Perhaps it was a money saving effort, I really don't know. The reality is she was a Christian woman who I believed loved the Lord and loved her children and grandchildren. Gram, as we all called her, took us on vacations with her to the outer banks in NC, kept my grandfather in line :), took us to church with her and loved on us whenever she could. Every morning, she and my grandfather had devotions at the kitchen table and would pray for each person in the family. Isn't that an amazing legacy and testimony to her faithfulness? I remember her yelling at Gramp to get up and take me fishing. Gramp would have some excuse and would say the fish are not biting because..., but Gram would stay on him until he took me. By the way Gramp was usually right and the fish were not bitting, but who cared. That is dedication to the family unit! Take a kid fishing even when you know you won't catch anything. Even with the suffering she had early on in her life with bad stomach ulcers which the medical community claimed was from worrying, she did quite well at keeping her cool with all of the little grandmonsters running around. I also remember that she liked to watch people. What I mean is she would just sit on the porch and watch people. I as a youngster could not understand this even a little bit but she loved to do it. At one point she even began parking downtown and would just sit and watch people go by and see which ones she knew. Intersting hobby I suppose and it didn't cost any money. I remember taking walks every night I was there with she and gramp down to the donut shop and she was horrified that I could eat an entire eclair. This of course would cause her to worry about my weight and the weight of each member of my family. I sit here now wondering why I am not in total tears after her recent death. Have I become hardened by the world and all its sin that I can no longer feel? I don't know. Perhaps it is because I have been expecting it and know she is with God and her husband. All I can say is that I loved her and I will miss her. Till we meet again Gram on the other side! Today's subject is Tires. That's right those little round pieces of rubber that stand between the body of your car and the surface of the road. Once again my tires are in need of replacement and I am trying to find the best deal. So I did some web searching (what every red blooded software developer would do) to find the best deal, but low and behold the tire companies were trying to make a fool of me. Needless to say I typed in my car's make model and so on and the list of tires pop up for me to choose from. Right off I see a tire for 55.00. Wow what a deal I thought! So being a somewhat bright individual I start looking for the catch. Sure enough there is this tiny button to the right that says "Get Total Pricing." Clicking on this button revealed hidden charges such as an environmental fee, disposal fee and installation fee. Come on people, what was I going to do install it myself? Needless to say my 55.00 a tire went mysteriously up to 78.25 per tire. Why must they always try to make us the fool? I have been a member of Christ's Church for many years and belonged to many Baptist churches during that time and there is something sadly lacking in many of these churches. Music leadership and fresh styles. There is a great need for small groups of Christians to band together and provide mini concerts for these churches without charging high fees. About once a month a church could greatly benefit from two or three musicians singing and praising God to help breath life into the christian life. Many small country churches simply lack the talent to support a good music program and many are blessed to just have a piano player and a small choir. Although there is nothing wrong with this approach it can become stale and uninteresting as an act of worship before the Lord. David wrote in Psalm 144:9, "I will sing a new song unto you oh God; on the ten stringed Lyre, I will make music to you." I believe what David understood was that singing new songs before God showed God that he was willing to author a new song which came from his heart and sing it with great passion. When we as church members sing older songs we often (not always) sing them with less passion because the repetition becomes an automatic response and not something we are thinking about and singing from a renewed passion. Two guys with two acoustic guitars performing cover songs from great Christians like Rich Mullins, Third Day and Chris Tomlin in the context of a helping both believers and unbelievers find God. What better place to sing to the Lord than at the church. We are singing songs which spread the same message of God's forgiveness and grace which has been preached generation upon generation. 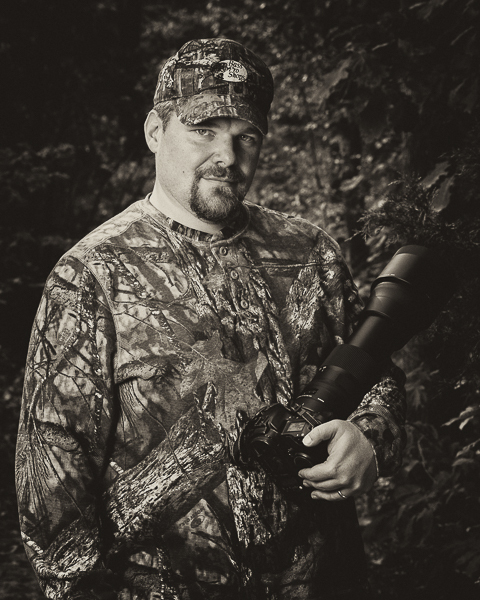 Well I finally got around to creating my new web site and of course a new blog. I mean who doesn't have a blog these days. The web site was done to mostly sharpen my skills with silverlight and just for kicks. "Ouch!" What's the matter? I broke a nail!